ADR Master offers many ways to create or edit ADR cue events. Create them directly in ADR Master using either the event list or the event track UI, import them from text files stored in one of the supported formats (CSV, ADR Studio XML, Pro Tools Session Info text file, ...) or grab them directly from a timeline selection in Pro Tools. The plethora of overlays ADR Master offers will help you organize your cues and make sure they match the picture perfectly. When you're done cueing, you can either export the cues as CSV file or print cue sheets choosing from different templates. 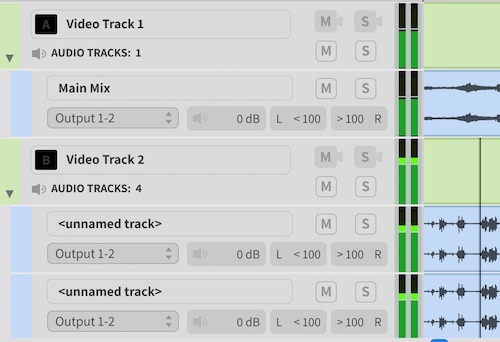 Alternatively, you can send the cues back to Pro Tools as region groups - either one at a time or in larger batches. ADR Master can also export ASC files for the SESAM disposition software. 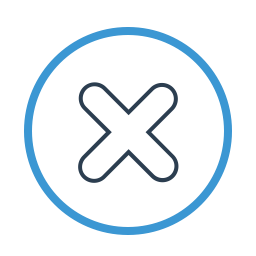 Using third party applications like Conformalizer, you can even reconform your cues if necessary from the exported CSV files. 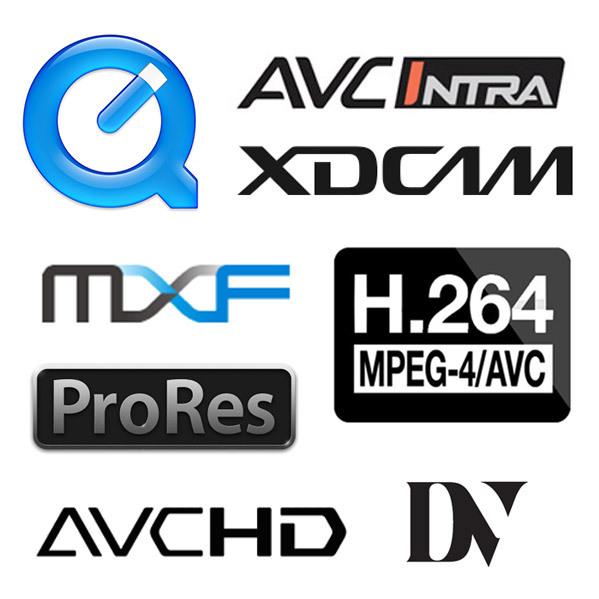 Leverage the power of ADR Master to playback all today's commonly used codecs including ProRes, H.264, and AVC Intra. The supported container types include QuickTime, MXF, and others. Stop wasting time transcoding movie clips to a format preferred by your DAW. Just drop the video clip into ADR Master, and it does the rest. 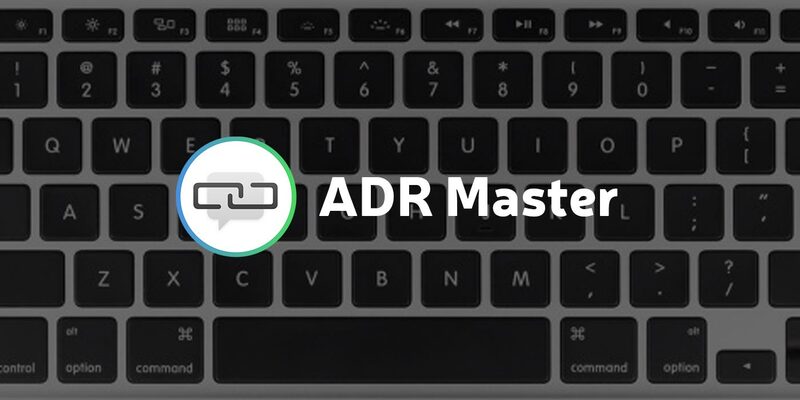 ADR Master gives exceptional video playback and saves you valuable time. An essential part of any workflow is the ability to export movies for different scenarios. Ever needed to export a movie with an added piece of music for the director? 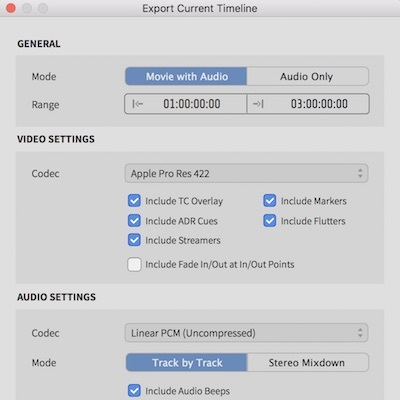 Alternatively, export a video with your programmed ADR cues to send to the voice talent? Now you can with ADR Master's flexible movie exporting capabilities. 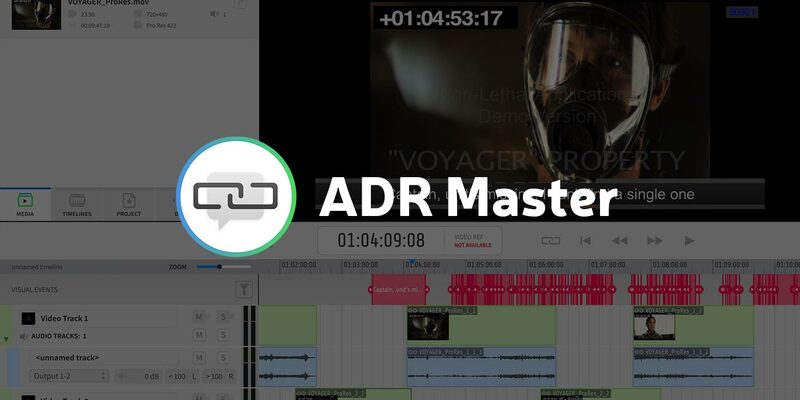 ADR Master lets you select the video and audio codec for the export, lets you choose which audio tracks you want in the file and lets you set the export range. Try it out, and you will see how fast the system runs. You don't need a second computer as a video playback machine [...]. You just install it, then make a few adjustments to Pro Tools, and it runs. It's straightforward to use, and it has a lot of features that you will love after a while. ADR Master provides flexible overlays, enabling the superimposition of all types of visual cues over the picture - useful in a whole range of scenarios. From simple on/off overlays for timecode or feet and frames to timed overlays for streamers, markers, flutters, and ADR cues. 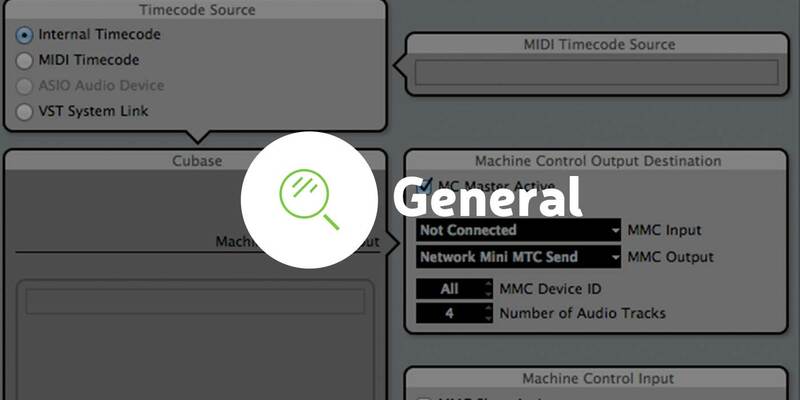 Timed overlays can be programmed directly within ADR Master, but also triggered directly from your DAW or other MIDI-compatible equipment such as a keyboard or trigger pads. ADR Master will playback all audio tracks a movie contains with up to 8 channels per track. Additionally, you can create audio tracks and drag audio files to them the same way you can in your DAW. 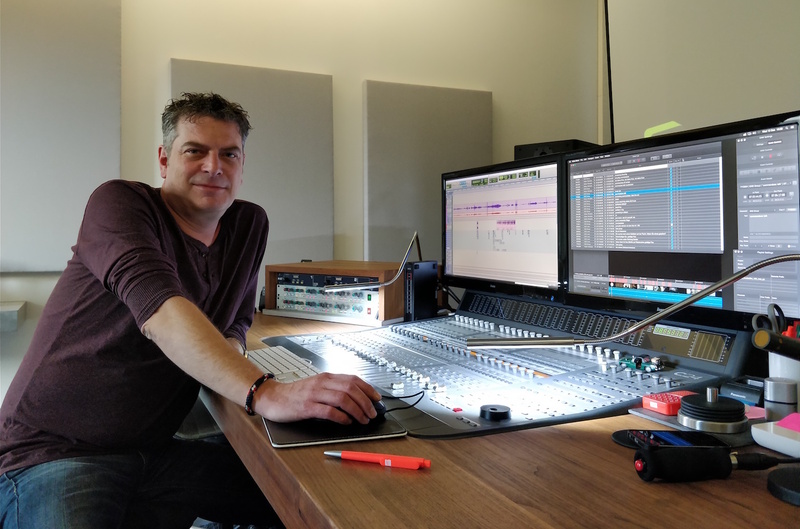 ADR Master will draw audio waveforms and offer all audio-related features you are used to on your workstation such as flexible output routing and standard audio controls such as solo, mute, volume and pan on an individual track basis. 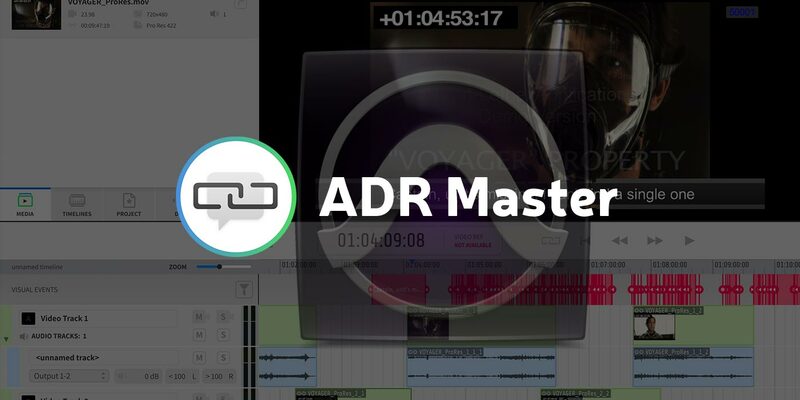 No matter if you're working on a reel-based feature film, commercials or a whole season of a TV or web series, ADR Master's timeline feature has you covered! 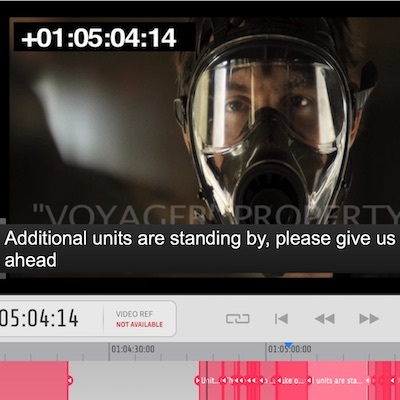 A project in ADR Master can contain several timelines, and each timeline can hold several video and audio tracks. Use one movie per timeline or all reels of a film, use several video tracks in one timeline or only one and instead use separate timelines - whatever aids your workflow. Edit video and audio regions to easily insert a rendered scene or have one timeline for a reel-wise and another for a tied version of the same film for presentation purposes - all in the same project and with minimal effort. 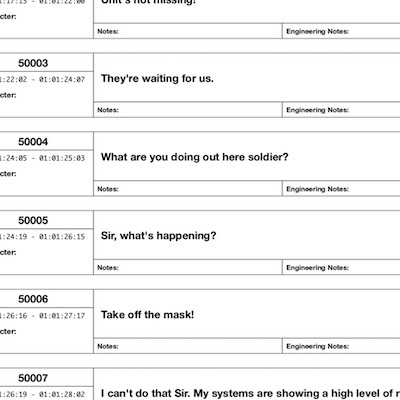 Please fill the fields to continue. 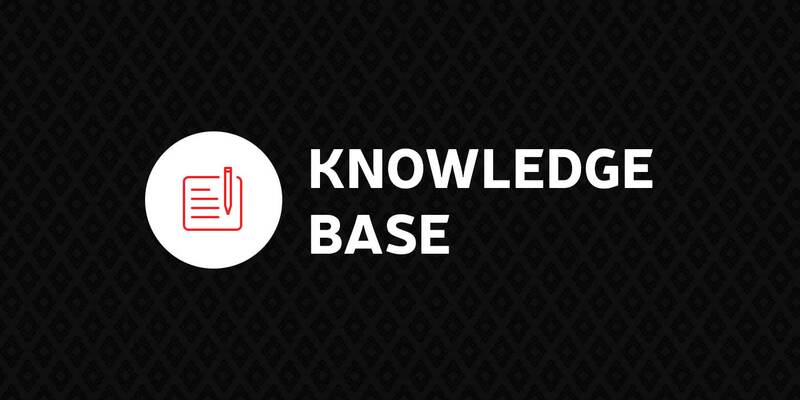 This information is required to issue licenses through our system. Service begins as soon as your initial payment is processed. You'll be charged the rate stated at the time of purchase, plus applicable taxes (such as value added tax when the stated rate doesn't include VAT), every month for the duration of your annual contract. Your contract will renew automatically, on your annual renewal date, until you cancel. The contract can be cancelled any time by logging into our website. However, it will only take effect at the end of the subscription year. Renewal rates are subject to change, but we'll always notify you beforehand. Video Slave needs to refresh the license once at the end of each month. For this, a working internet connection is required. If no internet connection is available, Video Slave will return to demo mode. By clicking the accept button you agree to the billing terms above. * Demo software is video watermarked and runs for 14 days. * Signup is optional and not required for downloading the software.